Cyber warfare, via hacking or attacking, has become an increasing part of our reality in a world where close to 50% of the population is online. On Friday, a malicious malware or "ransomware" virus called "WannaCry" was unleashed on the internet, targeting Microsoft Windows users by locking down, then holding their files for ransom. The cyber attack, described by Europol as unprecedented in scale, infected more than 230,000 computers in 150 countries, including Britain, Russia, China, Vietnam, Spain and the United States. Companies that were hardest hit included Telefónica (Spain), Britain's National Health Service (NHS), Federal Express, Renault, Nissan, Russian Railways, LATAM Airlines, among others. Most affected are older versions of the Microsoft operating system, like Windows XP and Windows Server 2003. Linux and MacOS have not been affected. One of the most common ways of spreading an attack is through phishing or false emails that, once opened, have a 'worm-like' ability to spread through cyber networks. 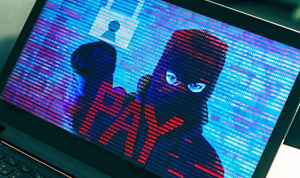 As in this case, a piece of malicious software takes control through a vulnerability or bug in the system to encrypt and freeze files until a ransom is paid, and a key provided to restore the files. The WannaCry "bug" is called EternalBlue, which has apparently been known to the National Security Agency (NSA) for awhile. 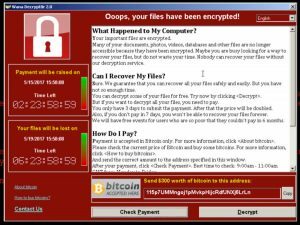 The WannaCry price to unlock a file is $300, to be paid in the cryptocurrancy BitCoins, but the hackers have warned that may go up. A UK-based security researcher found a temporary method to slow the spread, but a second wave is expected. Microsoft has issued a "patch" to remove the underlying vulnerability for supported systems, and has made the rare move of providing updates for the older operating systems that otherwise are no longer supported. Microsoft instructions on defending against the ransomware. We hope you don't have to use it! Help DemList with Contribution Here Today! DemDaily: Early Vote By The Numbers! DemDaily: What is a Lobbyist?